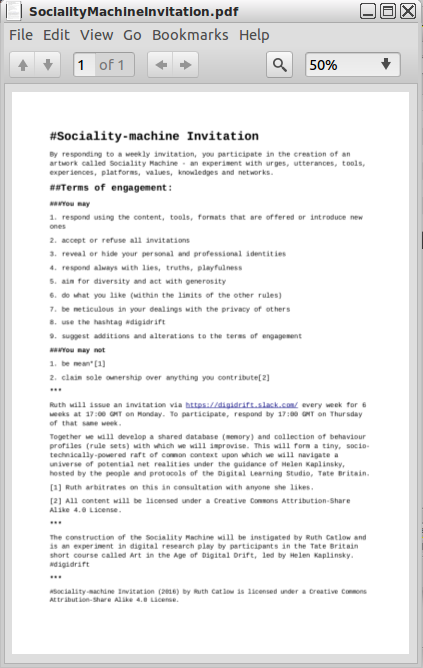 I devised Sociality-machine for people attending the Tate Gallery course Art in the Age of Digital Drift. Devised by Helen Kaplinsky the course looked at political, cultural and technical themes of our ‘digital’ societies. It examined freedoms, properties and infrastructures through the lens of Tate’s archives, artworks, galleries and workers. It also cast a wide net over net-art-history. Sociality-machine invited course participants to undertake a series of activities to develop a collective sensitivity to the shifting boundaries of public and private ownership and space, particular to the network age. They contributed their urges, utterances, tools, experiences, platforms, values, knowledges and networks in as part of a shared art experience. The 360° Survey – devising, creating and wrangling and visualising the data from an online survey. Send a ping – experimenting with new ways of transmitting and receiving message across digital, biological and esoteric networks. #FutureFinance – creating a moodboard to change the image and behaviour of money after cryptocurrency. 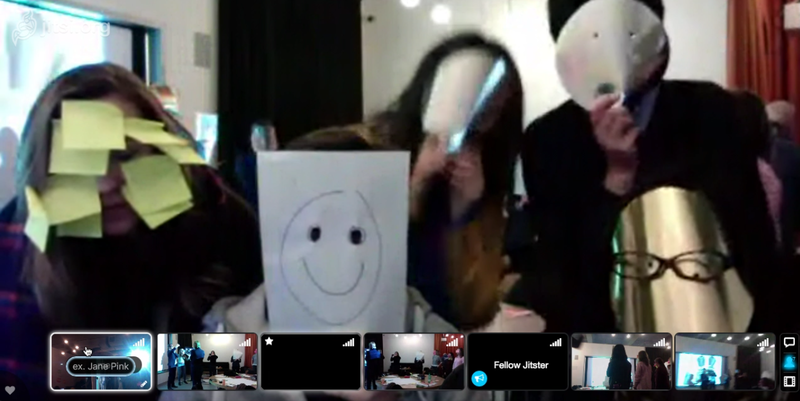 A performance in 4 acts – Speed date, Recap, Remix, Carnival. Throughout, everyone could consciously opt-in or out of each activity, without being penalised or overly pressured. As Artist in Research Residency at Tate Britain’s Digital Learning Studio, I worked alongside curator and theorist Helen Kaplinsky who devised and delivered Art in the Age of Digital Drift as part of Tate Gallery’s programme of Short Courses. This was the first residency of its kind, devised and commissioned by Rebecca Sinker, Curator of Digital Learning at Tate. Together we wanted to find out more about how learning could take place ‘through’ art as well as about art; she was interested in the ethics of participation, and about how in particular, a digital artist might inform the extension of the learning experience into the digital layer.